Expert salespeople once handled all of B2B sales. They had personal relationships with the procurement professionals who worked for buyer organizations, and B2B sales depended entirely on in-person collaboration between buyers and sellers. That sounds enticing, but we shouldn’t get too nostalgic. The procurement process was inefficient, time-consuming, and prone to error. Figures to be transferred incorrectly. Communications failures to result in misspending or delayed delivery. Buyer and seller expectations to become misaligned. In the worst cases of procurement error, businesses have failed or become mired in expensive litigation. Over the last decade, ecommerce has become the powerhouse of consumer retail. Despite this, B2B sales organizations were slower to adopt, relying on established in-person relationships instead. But in recent years, B2B ecommerce has been on the rise, primarily driven by buyer demand. The U.S. business-to-business online commerce market is worth $9 trillion, with almost $5 trillion generated by EDI networks that connect buyer ERP platforms to supplier order management. Other spending occurs via purchase order and invoice networks and employee travel and expense applications. But the fastest growing B2B sales channel is SaaS eProcurement, which leverages ecommerce stores integrated with buyer eProcurement platforms via punchout catalogs. The proportion of B2B sales conducted via SaaS eProcurement platforms is rising by 37% per year because it offers unique benefits to both buyers and sellers. SaaS eProcurement platforms automate many of the procurement processes that would once have involved manual processing. Automation encompasses the entire procurement process, from the selection of goods through order approval, the creation of purchase orders, and invoicing. Software-as-a-Service eProcurement platforms provide managed eProcurement solution hosted by a third-party, allowing businesses to adopt eProcurement without a substantial capital investment in IT infrastructure and staff. Businesses adopt eProcurement platforms like SAP Ariba and Jaggaer because they offer accountability, control, and insight into procurement processes. With eProcurement, businesses can rationalize and streamline procurement, discovering cost efficiencies that reduce procurement spend. Punchout catalogs integrate supplier ecommerce stores with buyer eProcurement platforms. They allow buyers to shop on supplier ecommerce stores from within their eProcurement platforms, with purchase order and invoice data automatically exchanged between buyer and seller. In this article, we will explore what punchout catalogs are, why B2B buyers love them, and how B2B sellers can make punchout catalogs work for their business. Procurement is a strategic function for modern businesses — disruptions to the supply chain impact revenue and profit, and even the viability of the business. The procurement process itself is often expensive and inefficient. Businesses adopt eProcurement to take control of spending but face challenges when integrating suppliers with their chosen platform. Punchout catalogs alleviate these challenges, empowering B2B sellers to integrate their products with their buyer’s back-end platforms. Punchout catalogs allow buyers to access supplier catalogs from within their eProcurement platform, automatically synchronizing requisition and purchase order data between eProcurement and B2B ecommerce applications. They also allow sellers to provide custom catalogs for each buyer, with special pricing and product selections. What is B2B PunchOut in Ecommerce? Punchout catalogs make it easier for buyers to search, browse, compare, and buy products from supplier ecommerce stores without leaving the controlled environment of their eProcurement, spend management, or enterprise resource planning (ERP) application. 1. How do ecommerce punchouts work? Punchout catalogs work via an integration between an eProcurement platform and an ecommerce application. The integration allows order data to flow seamlessly over the internet between buyer and seller. Integration of buyer and seller platforms can be challenging because of the number of potential platform combinations. There are dozens of eProcurement, spend management, and ERP platforms. There are even more ecommerce applications. The communication protocols and APIs used by these platforms are often incompatible. Common protocols and formats include cXML Punchout, OCI, EDI, iDOC, CSV, and email. Punchout catalog integration depends on software that “translates” between each platform. For custom integrations, a seller and a buyer cooperate to build and host software that lets ecommerce and eProcurement platforms talk to each other. Custom integrations are expensive and typically involve long lead times. A typical custom integration takes several months to coordinate, code, test, and deploy. They also put a significant burden on sellers who may not have the expertise or resources to build a custom integration. The alternative to custom integrations is a managed cloud gateway that mediates communication between platforms. The gateway is “in the cloud”: it is built, managed, and hosted by a third-party integration provider. The provider ensures that the gateway is capable of ingesting data from a wide variety of ecommerce and eProcurement platforms, mediating communication between otherwise incompatible systems. A managed punchout gateway makes it easier and cheaper for suppliers and buyers to provide punchout catalog facilities for any ecommerce application and eProcurement platform. The PunchOut2Go gateway is a managed cloud service that ingests data from hundreds of ecommerce applications and eProcurement platforms, translating data as it moves between platforms. PunchOut2Go enables punchout catalogs for BigCommerce and any cXML or OCI eProcurement platform. 2. What is a PunchOut website? A punchout website is an instance of a seller’s ecommerce site that is available from within the buyer’s eProcurement platform. Punchout websites allow buyers to manage the entire procurement process from within their eProcurement platform. It should be emphasized that a punchout website is not hosted on the buyer’s platform. It is an ecommerce site, hosted and managed by the seller, but accessed via the buyer’s platform. Punchout catalogs rely on the integration of the buyer and seller platform. In the case of a managed cloud integration gateway, the gateway handles data interchange for authentication, purchase orders, invoices, and more. A punchout website allows buyers to manage procurement within their eProcurement platform without having to import and host seller catalogs — the catalog is hosted and managed on the sell-side and affords all of the benefits of a personalized ecommerce store. 3. What are PunchOut catalogs? From the perspective of the buyer, the punchout process looks like this. The buyer searches for a suitable pre-approved supplier in their eProcurement platform. They choose a supplier and are immediately forwarded to the supplier’s ecommerce store. Authentication is handled automatically, and the buyer is logged in to their account on the ecommerce store. The buyer chooses products for their cart as usual. The seller retains control of the ecommerce catalog and can present a custom product selection and personalized discounts to the buyer. When the buyer is finished, instead of checking out, they punchout: order data is automatically transferred to the eProcurement platform for approval. When the order is approved, a purchase order is created in the supplier’s ecommerce store. Punchout catalogs aren’t the only way for a seller to provide a catalog to their buyers. In the past, the buyer may have used a catalog hosted on their infrastructure, but there were numerous drawbacks to this approach. The hosted catalogs were often out-of-date, and they provided a less user-friendly experience than an ecommerce store. Punchout catalogs are popular because they integrate supplier eProcurement and buyer ecommerce platforms without compromising the experience provided by either. Punchout offers the best of both worlds. Punchout catalogs allow B2B suppliers to integrate their catalog with buyer back-end platforms with minimal labor and expense. Unlike manual catalog imports, punchout catalogs are always up-to-date and data is transferred between platforms without the errors that plague manual transaction processing. When a buyer uses a punchout catalog, they visit the supplier’s ecommerce store. Changes made to the catalog or products are instantly reflected in the interface used by the buyer. The buyer benefits from real-time product, pricing, discount, and availability data without the maintenance burden of importing and hosting a catalog. The catalog — an ecommerce store — is managed by the seller. eProcurement helps businesses manage spending by consolidating procurement data and processes. Businesses use eProcurement to gain insight into spending and to implement efficient procurement processes. However, without integration between the buy-side and the sell-side of a transaction, it is impossible to take full advantage of eProcurement. Midsized organizations often have to manually process thousands of transactions each year, with all of the costs that entails. In addition to providing up-to-date product data, punchout catalogs streamline data interchange between platforms, automatically synchronizing buy-side and sell-side platforms, freeing procurement employees to focus on generating value for their organization. Manual order processing introduces expensive errors: duplicate orders, mistakes in pricing, quantity, and delivery schedules, misconfigured products, and more. Punchout catalogs automate many of the sources of error, ensuring that accurate data is available to buyer and seller. As eProcurement becomes more widespread, buyers preferentially select suppliers capable of offering punchout catalogs and B2B automation. A supplier who can quickly and reliably provide punchout integration has a competitive advantage. Suppliers who offer punchout catalogs win more business and retain customers for longer. Punchout catalogs reduce procurement costs for both supplier and buyer, which is why many suppliers offer discounts to buyers who are prepared to integrate. Typically, punchout integration projects are lead by the buyer, but B2B ecommerce businesses can take the initiative by partnering with an integration provider and marketing their ability to provide punchout facilities. Discounts are possible because automation reduces processing and staffing costs for both the buyer and the seller. Punchout catalogs are a win-win for both sides of the transaction. As eProcurement adoption grows and buyers seek to enable their suppliers to integrate, sellers can increase the likelihood of being selected by laying the groundwork for smooth integration. 1. Make it easy for suppliers to integrate. A B2B ecommerce business is well-placed to offer punchout catalogs via a third-party integrator. But they should also ensure that processes are in place to facilitate fast integration. B2B ecommerce businesses should prepare sales and marketing staff with training and sales enablement material that equips them to negotiate with buyers. Buyers want to see that their suppliers take integration and punchout catalogs seriously and that they are capable of providing punchout catalogs without extensive support and onboarding. 2. Make searching for products faster. Punchout catalogs can only be as effective as the seller’s ecommerce platform. 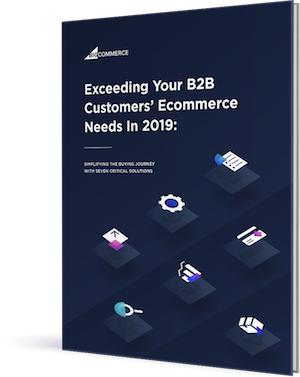 B2B ecommerce businesses have a lot to learn from their colleagues in consumer retail where ecommerce search, personalization, and conversion rate optimization are concerned. B2B ecommerce businesses should strive to ensure that their ecommerce platform offers an experience comparable to that of consumer ecommerce. As millennials brought up with digital retail come to dominate procurement departments, there is less tolerance for complex and frustrating procurement experiences. 3. Be adaptable to your customers. Your buyers may be using any of dozens of spend management and eProcurement platforms from industry leaders like Coupa and SAP Ariba to custom platforms. Sellers who cannot adapt to their buyer’s platforms are at a disadvantage. It is not cost-effective to create custom integrations for every buyer who might want them, but, via a managed gateway, a B2B ecommerce business can provide seamless integration between their store and any eProcurement platform. B2B suppliers flourish when they sell via their buyers’ preferred channels. That includes traditional sales teams, ecommerce, punchout, and more. But does a business that provides punchout catalogs need an open ecommerce store? A punchout catalog and an ecommerce store are, in the modern ecommerce era, largely identical. Punchout catalogs are built on ecommerce applications such as BigCommerce. An ecommerce application is transformed into a punchout catalog with an integration layer that handles communication between the ecommerce application and an eProcurement platform. A supplier that offers punchout catalogs as their only digital sales platform cuts themselves off from buyers who prefer ecommerce. Many B2B buyers rely on eProcurement, but not all. Some of those who do use eProcurement may decide not to integrate their smaller suppliers. An additional benefit of ecommerce is discovery. According to Forrester, 68% of B2B customers prefer to research online before approaching a supplier. More than half prefer not to communicate with a sales representative at all. An ecommerce store, which lists your products and can be browsed by anyone, is an essential online marketing tool — without it, you won’t appear in Google search results. Even if ecommerce isn’t your preferred sales channel, as millennials come to dominate B2B buyer organizations, it is essential to the visibility of your business. For B2B suppliers, the most successful approach to digital retail is hybrid, providing both ecommerce and punchout catalogs. B2B ecommerce presents unique challenges for buyers and sellers. Buyers also require sellers to integrate their ecommerce platform with the buyer’s eProcurement system. Custom integrations are expensive, time-consuming, and may not be economically viable for the supplier long tail. The burden of building integrations often falls on the supplier. B2B punchout catalogs help to overcome many of these challenges by allowing buyers to make purchases on the supplier’s website without having to leave the procurement system. Whereas implementing punchout catalogs once required expensive custom integrations, today, a managed cloud gateway takes care of the heavy lifting. 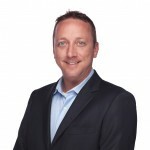 Brady Behrman is the CEO and founding partner of PunchOut2Go. As an entrepreneur with experience and proven track record in building technology businesses that focus on client success innovation, Brady and his team help organizations of all sizes around the globe adapt to the ever-evolving, complex B2B Commerce & eProcurement technologies.